So, the holidays are almost over. The parties are almost done and you’ve gained about 10lbs because you don’t have an ounce of self restraint around the boatloads of amazing dishes you were surrounded by. So what do you do? You get in your pajamas and curl up on the couch with a huge bowl of ice cream to eat away your sorrows. Well, we want to help you. No, not with putting down that bowl of ice cream. We want to help you make that ice cream even better! Wine syrup over ice cream. Yup. It’s just as good as it sounds. For our syrup of the gods, Pina decided to use the 2008 Baco Noir Reserve from Erie Shore Vineyard. It is said that with age comes wisdom, but in the wine world with age comes superior wine and multiple medals. With two years in barrels and one of the best red wine years in the last 10, this wine has to be tasted to be appreciated. It’s a great gift for someone who is price conscious, but is looking for high quality. 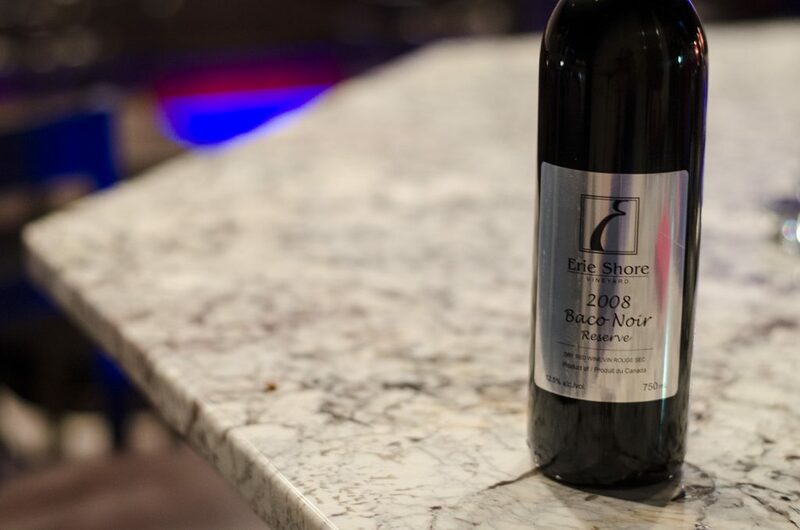 The Baco Noir is a beautiful deep crimson purple and rich and full in flavours of deep currant, dark ripe berry flavour and a nice hint of vanilla with a berry aroma. The wine ends off soft, smooth and fruity. 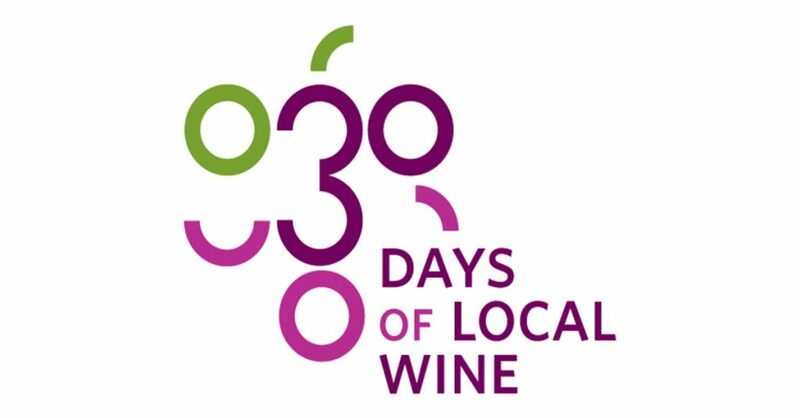 We know that wine is a popular gift around the holiday’s, and the Baco Noir ages very well if you decided to save it for a special occasion. This is my serving! Called it! Perfect pairings with this wine are grilled or roasted rich red meats (especially lamb and ham, game birds, chicken, turkey) vegetables, pizza, tomato based pastas, firm cheeses, dark chocolate and of course, ice cream. Everything goes with ice cream. 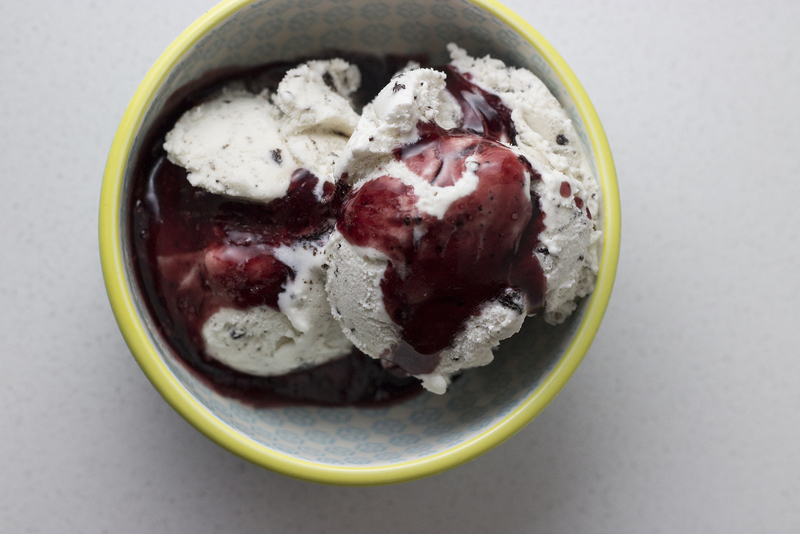 Here is an easy way to use red wine: reduce it down to a syrup and pour it over ice cream. You can use any red (or even white). After a few tries of how much wine to sugar to use, it seems like 3:1 worked well. 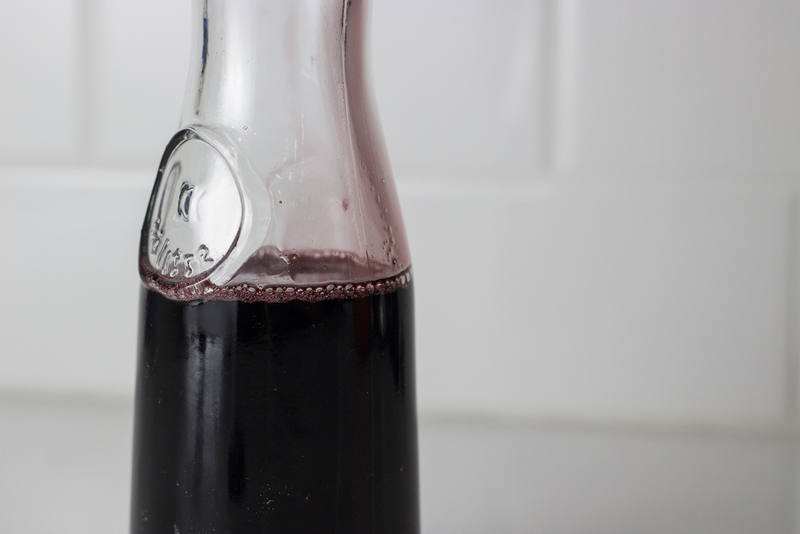 If you use only 1 or 2 cups of wine to 1 cup of sugar, it’s just too sweet. But you can try varying the amount to suit your own tastes. We won’t judge. Sweet holy moses, smell the roses! In a medium pot, add the wine and sugar and bring to a boil. Reduce the heat and let the wine simmer until the liquid has reduced in volume and the wine has thickened. The syrup will reduce down to just about a cup and a half. Take off the heat and let it cool. Add the syrup to a bottle or jar and refrigerate until you need it. The syrup will thicken up in the fridge. If you find it’s too thick just add a bit more wine to it to dilute it to the consistency you like. 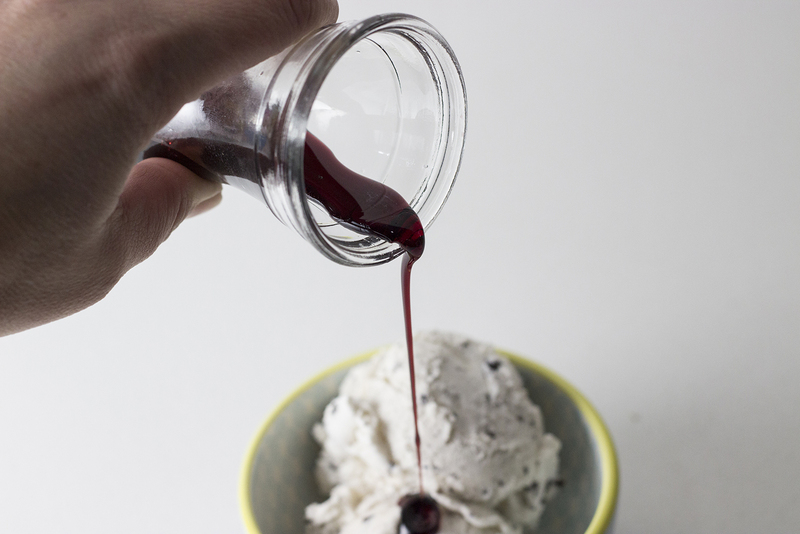 If you can’t wait, pouring warm wine syrup over ice cream is just as good as it sounds. Pour it over vanilla ice cream or try it over chocolate or chocolate chip ice cream. After all they say red wine pairs nicely with chocolate right?